Thanks to a climate-friendly footprint and low operating expenses Glice® synthetic ice rinks are becoming increasingly popular with municipalities, like here in Parsberg, Germany. 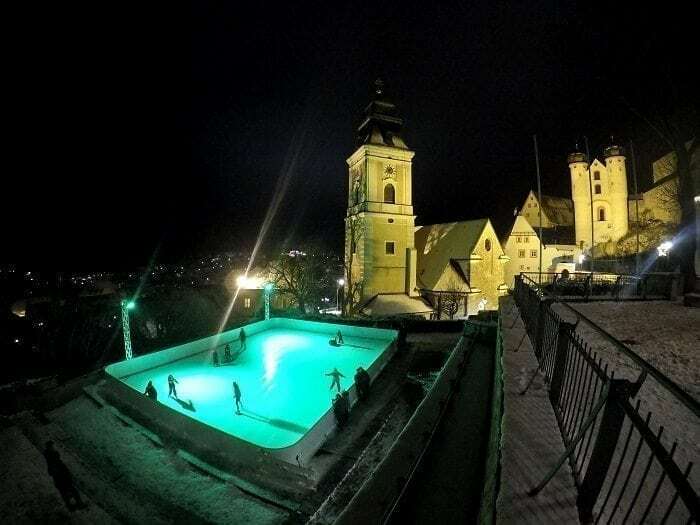 Especially in Europe many municipalities operate ice rinks for their citizens during the winter season, but conventional ice comes along with high operating costs, the noise of generators and a tremendous consumption of energy and water. Glice® synthetic ice rinks are the future-ready variant of winter leisure and even allow for installations throughout the entire year!